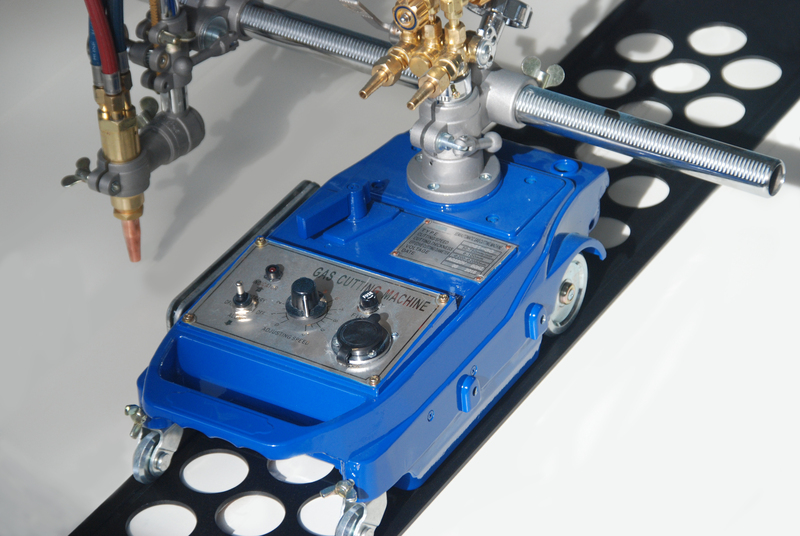 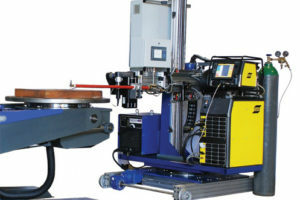 Designed to weld large workpieces such as beam and support structures using TIG, MIG or SAW. 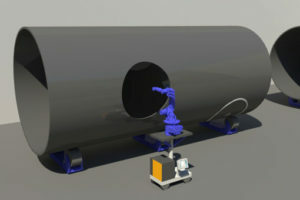 Even though there are two robots mounted on a column & boom which in turn is mounted on a track, there is no need for robot programming. 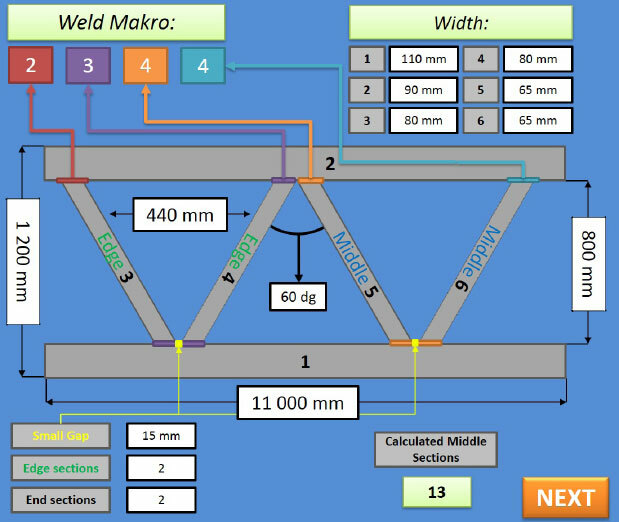 The column & boom and the track is available in a large selection of dimensions, pick the dimension you need to weld your desired work pieces. 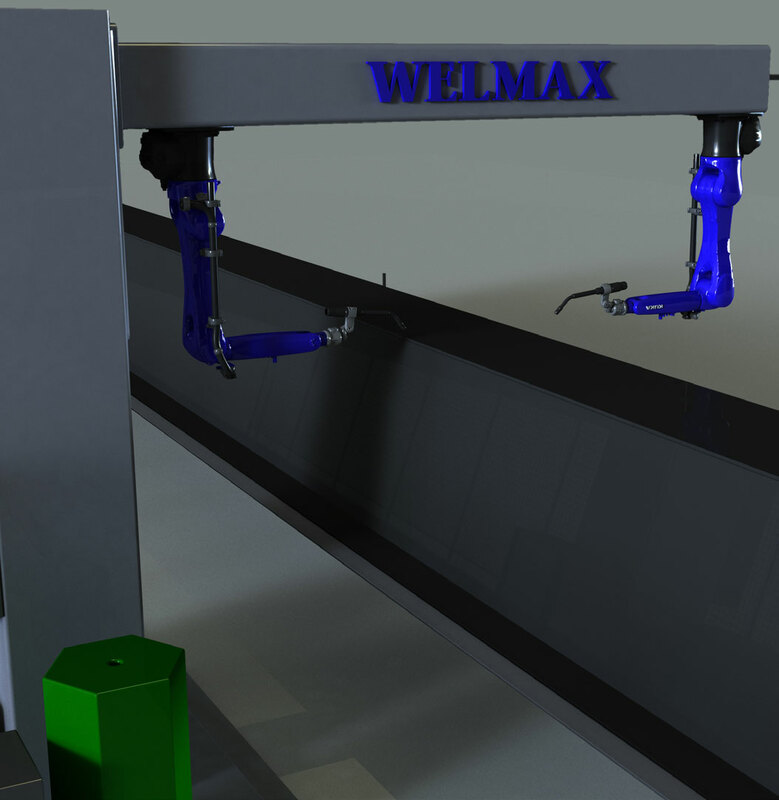 All the positions that the robots need will be calculated from the entered dimensions of the work piece, which the laser system then identifies and verifies to compensate for any mismatch in line up or work piece quality. 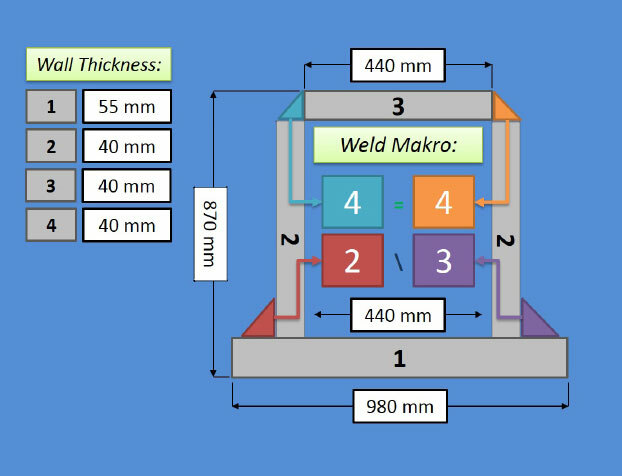 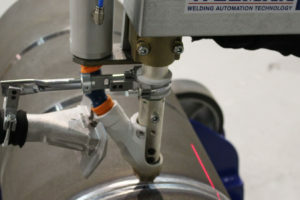 Adaptive multilayer and real-time seam tracking keeps the weld tool in a good welding position and ensures that the robots don’t get out of position when welding long seams. 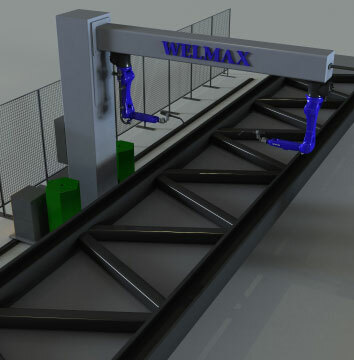 This combined with the fluid programming from the makro wizard ensures that all welds will be of high quality without any need for manual programming.